How to change the size of scrollbars on demand? 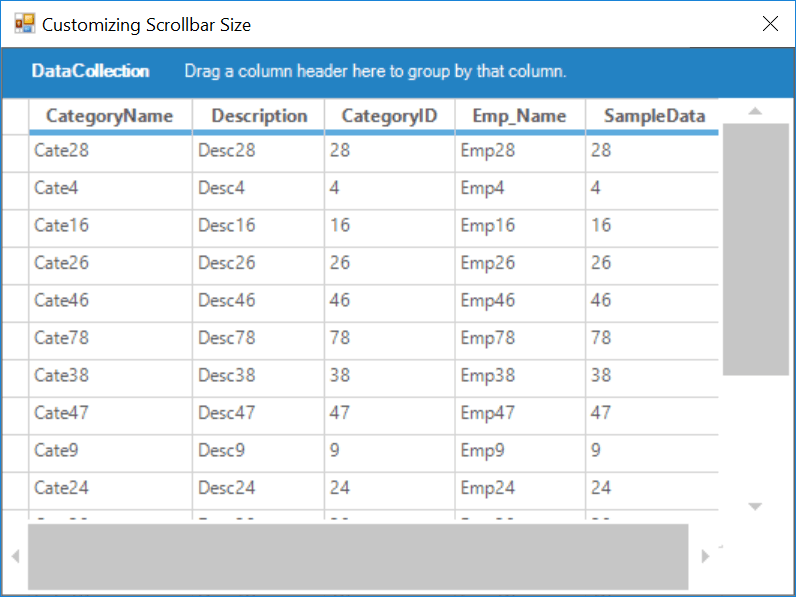 To customize the size of scrollbars in the grid, use the InnerScrollBar.Width and InnerScrollBar.Height properties of ScrollBarWrapper class. To customize the size of scrollbars at runtime, use the TableControl.ControlAdded event. In that event, the VScollBar and HScrollBar controls can be get by using the e.Control property.